Presentation and objectives (3 comm.). The situation and future of raw materials (9 comm.). 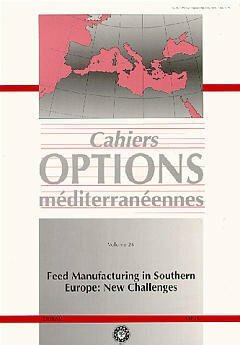 Quality, control and new feed manufacturing technologies (5 comm.). The present and future of enzymes in the feed manufacturing industry (7 comm.). This book contains the proceedings of the conference held in Reus, Spain, May 9-11, 1996. (Articles en anglais avec résumés en français).